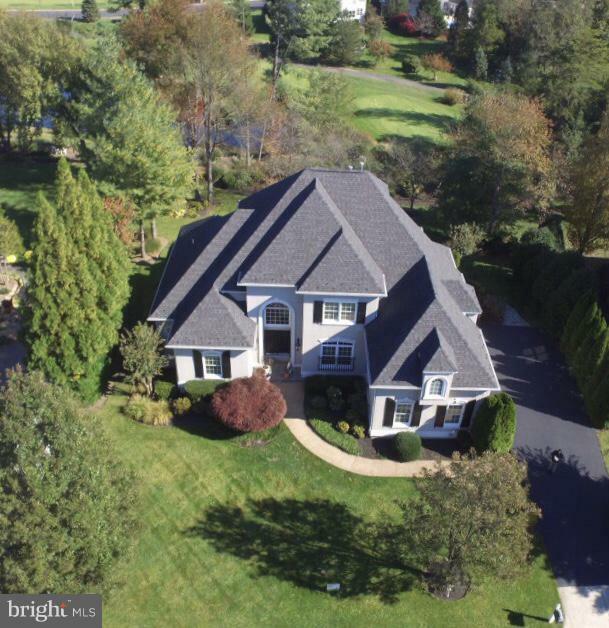 Stunning Custom Eric Nelson built home on premium lot in sought after Lake Manassas Community.Home has expansive golf course and pond views. This home also enjoys winter views of Lake Manassasas well. Enjoy the tranquility and natural setting this gorgeous lot has to offer from an impressive slatedeck and lower level covered slate porch. Spy geese, heron, wood ducks, hawks, and eagles from theprivacy of your beautiful estate styled property. This home features high end appointments not offeredin tract built homes. 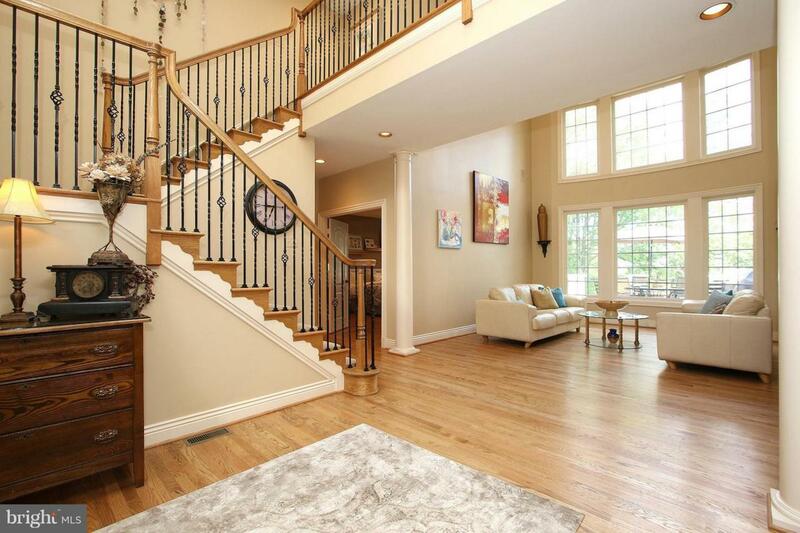 Travertine, custom carpeting, and hardwood flooring are available throughout thishome. Two story foyer with automated chandelier welcome you into this home. Dramatic 2 story livingroom with a two story wall of windows with breathtaking views gives this home an open feeling. Formaldining room enjoys hardwood flooring, custom wall sconce lighting, elegant chandelier, silk drapes, andplantation shutters. Amazing custom kitchen with island, travertine backsplash, granite counters, VikingCooktop, warming drawer, and other high end appliances open to a cozy family area with gas fireplace,breakfast nook, abundant windows, and excellent pantry space. This home has a wonderful Main LevelMaster suite with exterior access to the slate deck, fireplace, tray ceiling, recessed lighting, luxuryTravertine Master Bath and spacious walk in closet. The main level also enjoys an office, laundry centerwith exterior access, and powder room. There is a spacious 3 car garage and large driveway with accessto the main level. The upper level offers 3 large bedrooms to include a large bedroom with ensuitebathroom, built in window seat, and sitting area. The 2 additional bedrooms enjoy a shared hallbathroom. All upper level bathrooms feature travertine upgrades. The lower level is simply amazing.Another full bedroom suite is available with massive walk in closet and travertine full bathroom. Thewet bar area is perfect for entertaining! Multiple large living spaces, game room, wet bar, andrecreation room work well for entertaining large groups. The main lower level recreation room featuresa stone surrounded gas fireplace that is a wonderful focal point for this space. The lower level is walkout level to a beautiful covered slate patio. 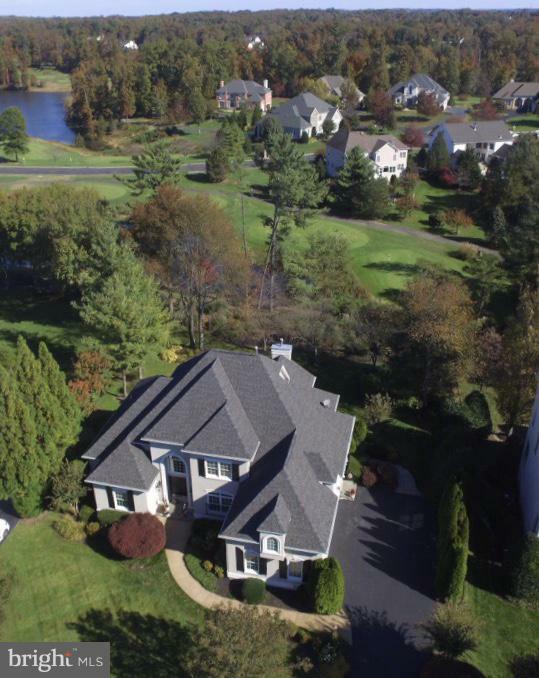 The Lake Manassas community provides great familyfriendly amenities, such as, pool, tennis courts, tot lot, sports court, walking trails, and gated security.Stonewall Golf Course is open to all and has a wonderful restaurant open to the public. Wegmans is alsoconveniently located nearby. Meticulously maintained home also features premium landscaping andirrigation system.